I've been searching for models of the Apollo, Gemini, and Saturn 5 rockets of the 60's and 70's. Can someone help me out? The Moon Buggy would be good also. i'm requesting a decent pig morph, or boar teeth morph, for M4. I'm on a bit of a Star Wars kick, and I want to try my hand at making M4 into a Gamorrean, and while I've got most of the body looking decent, the face needs a bit of work, especially with the teeth. 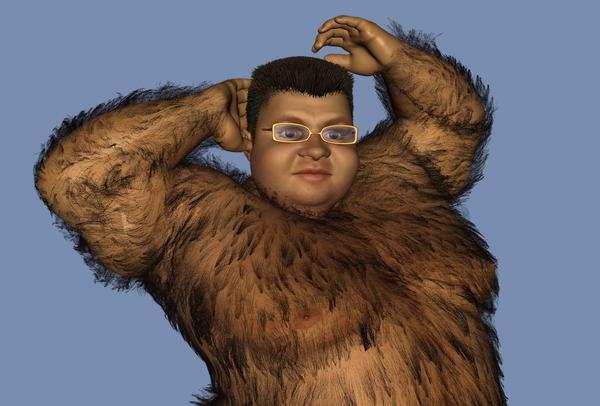 since the new free play look at my hair is out was wondering if anyone has free presets for male body hair I used the free primate and lycan presets but I don’t want men looking like apes .Chest and full body would be great .Thanks see too much hair I'm sure someone has them out there please help!!!!!! I would go to this thread and make your request. You might get a better response. I'm pretty sure the NASA site has the Saturn V and it might have the other space stuff but I can't check since it's shutdown until Congress comes back from nap time. Do any of you know if there is a free nurse cape available? I have some nurses' clothing (dresses) but not with a cape, couldn't find any at both Rendo and ShareCG during search today. I am thinking of the kind of cape from around the 40's-50's or later for scenes from that era, i.e. 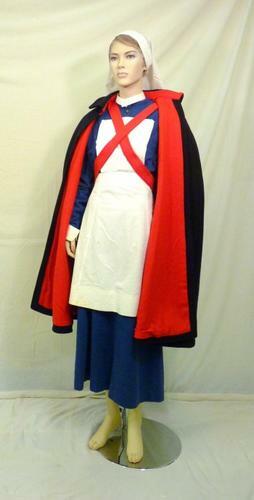 black cape with red x bands in front (over chest area) to hold it in place ... or something similar. You did not say who you wanted it for but Wilmap has one for genesis here. 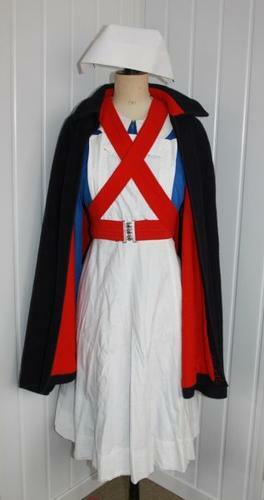 I know it isn't free but the Mad Nurse has a cape and the outfit is 5.99 for non PC members. EDIT: For interesting sake I have added photos of the cape, the one on right side is from WW1 according to picture name but not really differences between the two. Preferably for Genesis. Is there anywhere that Shukky's Humanoid BCo is still available for download? Zgock-lab.net has apparently closed shop, and that's where the Rendo link directs to and everything else I've found. She's one of the ones missing from Sasuke256's ShareCG and Nomaki pages. The Zgock blog was the only place I used to be able to find it. She was my favorite model (paid or free) and I lost all my 3D content a couple months ago. I really want to find her again if I can. A long time ago I ran across but did not save an untextured prop that was for concentric circular water ripples, like if you dropped a pebble into a pond. Does anybody know where that is, or even remember the name of it? Doesn't need materials, just want it to be in a format that can be imported into Bryce. @launok, although I couldn't find a cape like you are describing, it occurs to me that it looks similar to a Dracula cape; you might try looking around for one of those. I'm posting these because this is what is available. If you need a them for a project now, I'd rather post the info than let you wait for a freebie that may never come. Oh my gosh, I freakin' LOVE the wayback machine! Okay I found the problem with the spinning wheel link. Anyone has any clue as to where a I can find a cow's skull? Will this work? You will need to scroll down about half way to the section on 3D models. I also noticed that there is a real dinosaur head scan on this page. I believe someone was looking for one several months ago. Know it is to late now but maybe for next time. It would be great if it is, or could be, colored metallic gold. (Sometimes leaves are made on flat surfaces with trans maps, so you can't use shaders on that kind of leaf unless you want squares instead of leaves.) However, natural leaves are okay. I can't do postwork on the pic, because it's for the freebie contest, so it has to be right as it is.